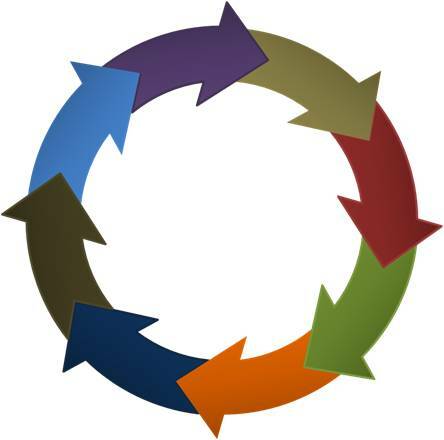 Creating a stunning circular flow or process diagram need not be difficult. 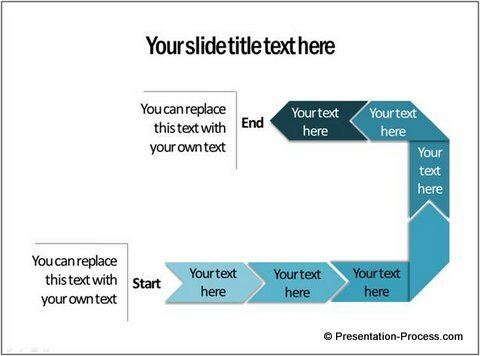 Discover an easy way to create this useful diagram by following our simple step by step instructions. 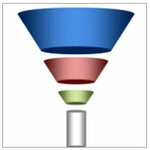 Circular flows are quite commonly used in a wide variety of presentations. 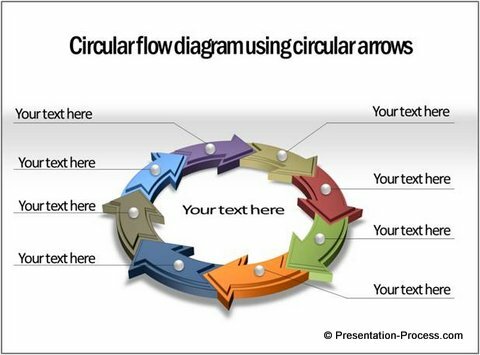 There are two common ways of making circular flow charts. The problem is – the diagram looks clichéd. 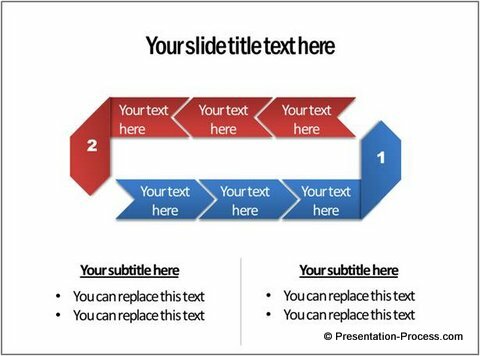 The diagram has been used so often by presenters, that it doesn’t capture your audience’s imagination any more. While this looks definitely impressive, it takes a lot of time and effort to create this diagram. 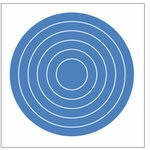 You can refer our tutorial on circular arrows to learn how to make these diagrams. 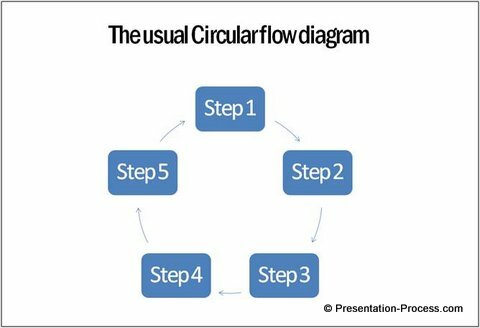 We need just two shapes to represent circular flows. One is a simple chevron. 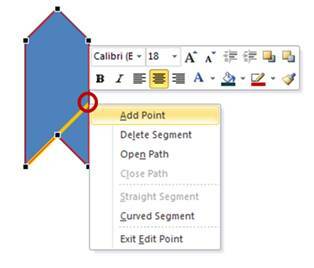 Draw a Chevron shape using ‘Chevron’ tool under Block Arrows in Auto shapes menu. 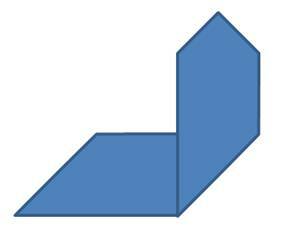 Convert the chevron into freeform by going to Format -> Convert to Freeform. Now, right clock on the point where the line meets the edge and choose ‘Add point’ option. 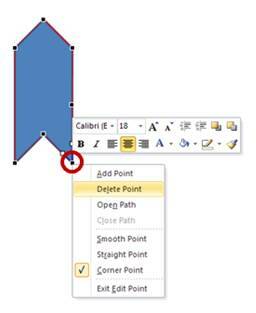 Select the other corner point of the chevron, right click and choose ‘Delete point’ option. All we did was to group the chevrons and pasted them in different angles. With a bit of creativity the options are endless. As you can see, chevrons give you far more options to create flow diagrams than the traditional circular arrows. 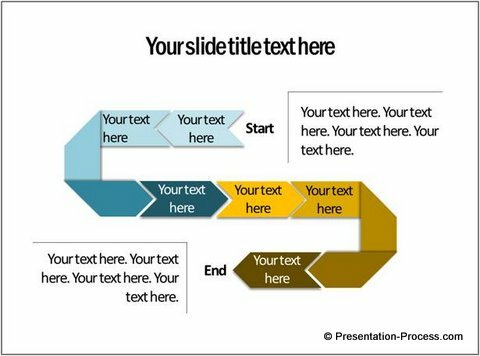 If you are a business presenter, you need as many diagram options as possible to depict your business ideas accurately. You may not have the time to create all those diagrams from the scratch. 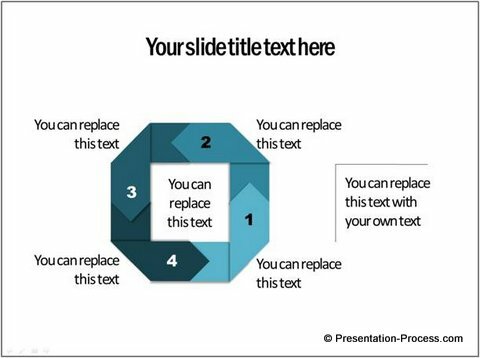 That is why we came up with our ‘750 + PowerPoint Charts and Diagram Templates Pack for CEOs’. 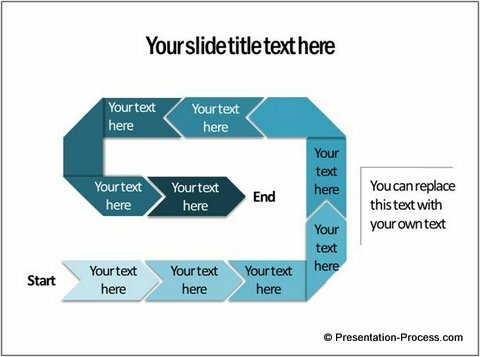 The pack has more than 750 fully editable diagrams that you can copy to your slides to create professional presentations in minutes. 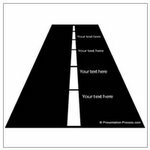 These diagrams are created by business professionals with keen design sense and business expertise. So, you find the widest range of options in our pack to express your business ideas.